As a business owner, you must be entrusted with a lot of responsibility. Making important decisions, talking to the right people, ensuring that your business is headed in the right direction, and also – maintaining the property you conduct business from. Your commercial property forms the lifeline of your business, as such, there might be maintenance services required from time to time. This includes painting, cleaning, replacing light bulbs, fixing locks etc. If such activities are carried out during standard work hours, it might disrupt your routine business, especially locksmithing work. Imagine losing a day’s productivity simply because the locksmith had to change the locks on your property. What if you could schedule the required services at your convenience? With Bryn Mawr Locksmith Service, it’s now possible to get all your commercial lock & key needs met, with little to no interruption in your daily schedule. 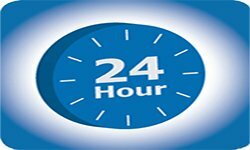 We do not adhere to any fixed timings and work as a 24 hour locksmith. With teams of commercial locksmiths working in shifts, and a fleet of mobile vans for easy movement, we can work at anytime and anywhere in Bryn Mawr, PA area. Are your locks overdue for a maintenance check? 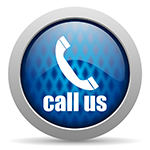 If you don’t want daily business activities to take a hit, you can call us once you’ve shut shop for the day. We’ll work overnight and fix the concerns, so that there’s absolutely no interference in other, more important business concerns. If you own a business that doesn’t follow standard work hours, then it’s likely that you’ll run into a lock & key emergency at any time. A file cabinet might get locked. An employee might get locked out of his cabin. Don’t worry, we work odd shifts too and you’ll receive swift assistance. You might not find the idea of spending an extra sum to get 24 hour locksmith service quite feasible. However, you won’t have to pay anything more than the standard rates when you call us. Flat rates, no hidden charges, and no add-ons! Get all this and a lot more – and the best part is, you can call us at just about any time to avail our 24 hour locksmith solutions. Dial 610-973-5278 !